Lara Croft is back, and this time shes looking for adventure, but adventure finds her first. Crystal Dynamics is back with a reboot of the Tomb Raider franchise. I’ll be honest, I didn’t play much of the later titles, but this one just appealed to me so much. All of the footage I had seen prior to playing got me pretty amped up to try this one out. First off, wow, this game looks incredible! I am playing this on Xbox 360, and it just really makes me want to be able to play it on a huge PC rig, or a next gen console. It makes me excited for the future of games knowing that this is still a current gen title, and looks so good. The opening of the game has you on a ship heading to find lost treasure, fame, fortune, kind of you run of the mill archaeological story. Until your ship starts sinking. Now you’re left to survive, fend for yourself, and get a taste of just where Lara Croft came from and get a sense of what shes been through to make her the person she is today. The first 15 minutes of Tomb Raider, you might have already seen. 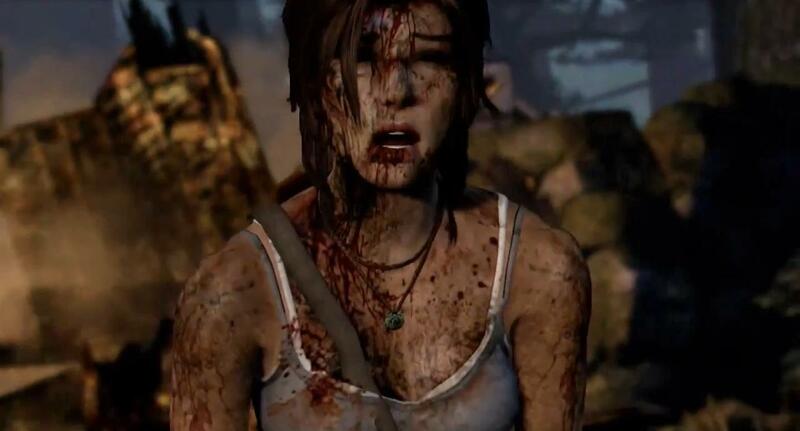 If you can remember back at E3 2011, when we got a glimpse of the game it was a brutal look at Lara with shards of metal through her side, and struggling through caves to try and escape. Even though I had seen it before, it was such a great start to the game. Having the controller in your hands and experiencing this was such a great moment and made me want to just keep playing. You can feel the classic Tomb Raider all over it, with its great puzzles (although not too challenging, maybe this will change later in the game), and great sense of exploration. Couple this with amazing visuals, and a great combat system, this game has its hooks in me and I’m ready to take the ride!